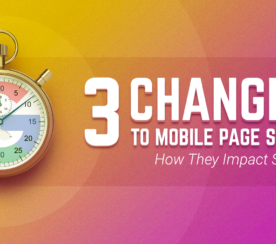 With Google’s introduction of a mobile-first index and AMP, page speed is now more important than ever. 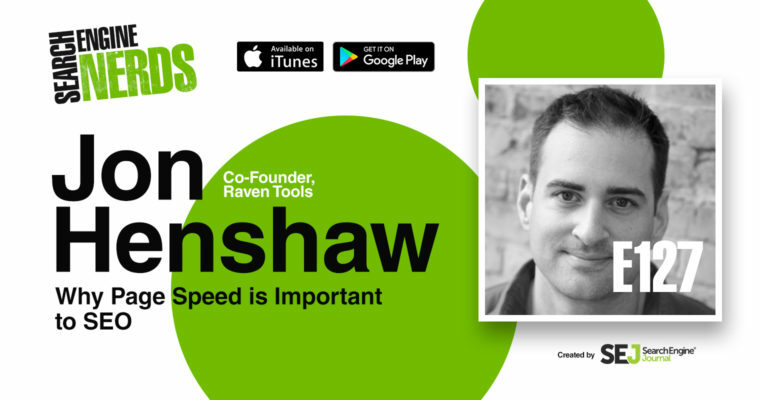 In this episode of Search Engine Nerds, Jon Henshaw, co-founder of Raven Tools, joins SEJ Executive Editor Kelsey Jones to discuss why page speed affects SEO. 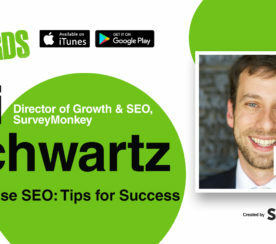 Jon and Kelsey also talk about the pros and cons of AMP and how a mobile-first index ties into putting the user first when it comes to the search and website experience. 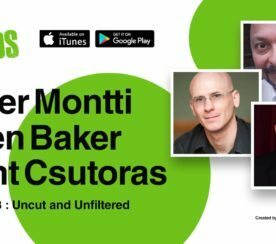 Throughout the podcast, Jon shares detailed tips and resources on how to speed up your website. 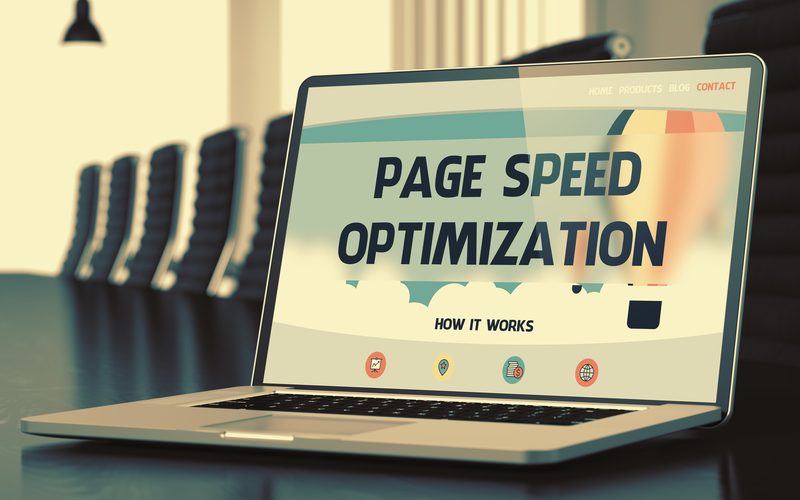 Why do you think it’s important to talk about page speed now? Jon: We’ve reached a point where people are making such slow sites that it’s ruining the web experience for a lot of us. 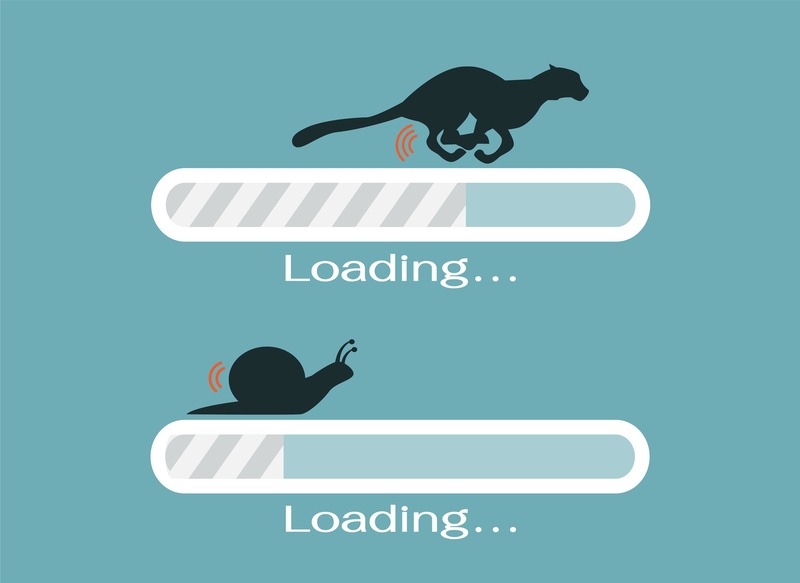 Unless you’re on broadband, and even if you are on broadband, it might take a little while to load. You have things popping up in front of you. You’ve got videos loading and auto-playing. It’s just incredibly annoying as an end user. The reason why it’s important right now is not because end users have noticed. It’s because Google has noticed. They started going down the road of, “Hey, this is a problem. We need to change something,” a couple of years ago. They have more recently introduced and are pushing something called AMP which is Accelerated Mobile Pages. Is page speed a ranking factor for Google and Bing? Jon: I don’t know if it is for Bing. Google is on the record for saying that speed is a ranking factor for Google. Based on what they’re focused on right now and based on the fact they have said publicly that it is a ranking factor, then my answer is yes. Bing has been a little more quiet. They don’t have, I would say, the same public personalities that are more forthright and are telling everybody that, “Yes, this is definitely something you need to do.” If you were to ask somebody on the Bing search team, they’d be like, “Yes, speed is important.” I’m not sure they would go so far as some of the people from Google have gone. Where do you start when you know you need to increase your page speed but you don’t really have a good idea of what to do first? Jon: We’re in a really interesting time right now because we have web properties that don’t even know where to begin with their site. It’s got to the point where it is so loaded with junk that for many publishers, the best solution for them right now seems to be AMP. Of course, Google is really pushing them to do that. The reason is because AMP essentially creates a new document. In other words, they can keep their slow page if they want, and if they take the content out of that and convert it into an AMP page, it canonically links back to the slow page but still has all the content. That seems easier on the surface for some of these bigger publishers. The problem with that has to do with the fact that all the things they did to their site that made it slow are almost always tied to advertising, and even forceful advertising where they’re pushing things in front of you or they’re auto-playing videos. You don’t get to do that on an AMP article. They can still have advertising on an AMP page but they can’t have it to the extent they had before. That’s one thing they’re actually losing out on. The other thing is that presentation of content is controlled and limiting. Then on top of that, Google are hosting the content. To me, it’s a very awkward and strange position to put a publisher in. Google are pushing AMP heavily. They’re doing this with care, ranking and displaying AMP pages above other non-AMP pages. I’m wary about it. Right now, Google is winning this fight. They’re winning it because as I’ve talked to other SEOs who manage large properties with lots of traffic, they are afraid to do any different. That’s the reality. That’s the landscape. For a lot of publishers, they feel like that’s their only choice. One of the reasons why I wanted to talk about this was because I think there is another choice. One of the things I did a couple of weeks ago is put together a one-page site called Make Fast Sites because people are like, “What can I do? How can I not have to do this? How can I speed up my site?” The only way to do that is to actually make a fast site. These are all within reach of any site out there if they would just go back and refactor how they have put their sites together. The second thing I’ve been pushing people to do is use system fonts. System fonts are things like the San Francisco font on Mac which looks fantastic and is made for screens. They don’t have to be loaded. If you were to instead just use the system fonts, call all the system fonts in CSS. It ends up looking great on pretty much every device in every operating system. The third one, and this is one I’ve been talking about for years now especially when I do presentations at conferences, is doing image optimization. Over the years, everybody has gotten lazy thinking about that because we have broadband. We can throw anything we want in there because the network can handle it. They’re just throwing on gigantic image files. Not only are they big, they aren’t optimized for delivery. In many cases, you can resize. You can compress and optimize all of these images. You can even serve different images to different screen sizes using standardized HTML. The fourth one is a really big one. This is something I have been pushing people to do now because it’s easy and it’s free. That is switching to HTTP2 which is a significantly faster protocol for delivering web pages. It requires SSL now so you knock two things out with one stone. You can set it up with Cloudflare which Google is actually an investor in. Cloudflare has a free account that you can use with any site. It’s literally just a handful of steps. You can automatically give your site SSL. You can serve everything through HTTP2. It will GZIP compress it. It does everything and you don’t have to pay a cent. Then the last part is improving UX, which is a little more subjective. It really has to do with what you can learn when you look at why end users and why Google like AMP pages. It provides a better user experience so that people can actually read and digest content instead of having four columns in your view and things blinking and popping in front of you the entire time. I always say those first four — refactoring code, using system fonts, optimizing images, and moving over to HTTP2 and using SSL in particular — if publishers just did those four things, it would dramatically speed up their sites and improve how they’re delivered. Get us closer to a point where we don’t necessarily need AMP. You would probably see a boost in rankings. What are some ways to test page speed? Jon: The best way I found or the tried and tested of ways is the Google Page Speed tool, which now pushes you to their mobile tool. I’ve always been a really big fan of GTmetrix because they combine different services. If you’re looking at it from a development standpoint, probably the best technical way to do it is to use the Chrome browser and to use dev tools because their dev tools will actually show you where the slow downs are and what’s taking so long. How do you think Google’s mobile-first index is going to factor into the importance of page speed? Jon: If webmasters and SEOs are not approaching sites and optimizing their sites from a mobile-first perspective, that’s a bigger problem. In other words, it’s already here. It’s not even like it just got here. It’s been here. This needs to happen just from a purely UX perspective and because there are more searches done on mobile, that’s why you need to be focused on mobile. As far as Google switching to a mobile-first index, that has more to do with, “Can it render on mobile correctly?” than, “Is it fast?” I know Google has publicly stated that they’re looking at speed more from a mobile perspective. There is the assumption that it only affects mobile. Maybe that will only affect the mobile index. Number one, SEOs need to be focused on mobile now. They should have been focused on it a long time ago. Then number two, speed is speed is speed. The fact that Google is moving to a mobile index, the answer is yes, speed is going to matter. I think speed matters now already. People need to be doing this regardless. Think you have what it takes to be a Search Engine Nerd? If so, message Kelsey Jones on Twitter, or email her at kelsey [at] searchenginejournal.com.